"Last Light". 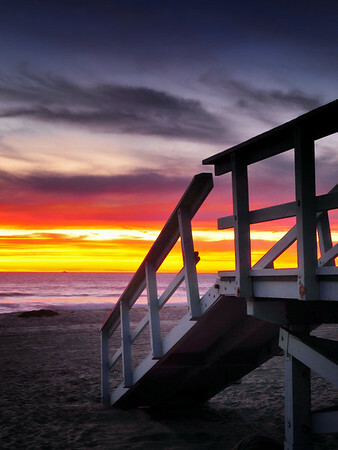 Manhattan Beach lifeguard tower at twilight. Image published on the Front Cover of the "South Bay Monthly" Magazine, March 2010 (San Pedro, Palos Verdes Lomita & Harbor City Issue).